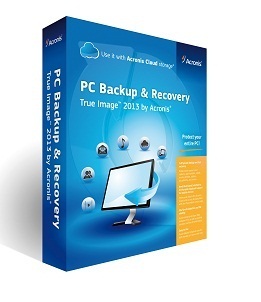 Acronis True Image 2013 has a very intuitive and easy to use interface which you can easily set up your backups, recover data from backups or using utilities True Image 2013 offers. When starting up Acronis True Image 2013, you start up on Get Started tab where you can initiate a Backup, recover data, or back up to the cloud which is a new addition to True Image 2013. Acronis supports many devices from smartphones, tablets, and pcs which you can use the synchronization which will keep your devices sync and would be used with its cloud storage. It is easy to set up on your devices giving you a way to back up files from your smarthphones, tablets to PC while being able to also view them and be able to view files on PC on the smarthphones and tables. Acronis True Image 2013 has some very useful tools and utilities which comes useful at certain times. The first of the tools is a Try & Decide where you can perform any unsafe operation letting you decide if you want to apply the operation or revert it, great to use if you are uncertain of what will happen. Acronis True Image 2013 has some tools which helps protect you from disasters. The first protection tool is the Rescue media builder were you’ll create a bootable media where you can recover if your computer becomes unbootable. The second tool is the Acronis startup recover manager where if windows becomes unstably you can recover your data or whole system wen pressing F11. The last of the protection tools is the Acronis Secure Zone which will create a special secure partition for storing backups on your disk without a need for external drive if in case you need a double backup on your drive or don’t have a drive when you move your computer. Acronis True Image 2013 gives you ways of backing up settings and managing the disk. You are easily able to transfer settings from your Acronis to another computer. The disk management lets you create partitions on a new hard disk drive and lets you extend capacity with the Acronis Extended Capacity manager which supports more than 2 TB. Acronis True Image 2013 lets you convert the backups to a Windows backup and vice versa so if you created a windows backup and you moved to windows 8 you can convert it to Acronis and be able to restore from backup. Acronis True Image 2013 also lets you mount images with its Image mounting tool, which can come in handy when no drive on a computer or don’t have disk to burn the images. Acronis True Image 2013 is a well featured backup software with many ways to backup and keep your files protected from any disasters that could happen. Using Acronis comes in handy to have as you never know what can come and if you have important information, having a backup is good to have. Due to Windows 8 changing formats from Windows backup, Acronis True Image 2013 will help with its backup conversion, plus includes a way to clone a disk to another disk making a recovering to old OS easier. Thanks for the giveaway, Acronis is the best, so please count me in. One of the best program to restore your pc. A fantastic backup software.Thank you for a chance to win a license. The best BackUp and Recovery software! Thanks Appfound for another great giveaway! Thanks for the Acronis Tue Image 2013 giveaway. Wow, really great giveaway. I would like to join in this contest. Excellent. Thanks for the giveaway. Great give away. Please count me also. Wonderful Giveaway! I hope to win a license, Acronis is the best backup software! Great software, please count me in!!! Sweet. Acronis is my favorite PC backup. I would greatly appreciate having the newest version. Thank you for having this giveaway. Great for backups, count me in, thanks. I’m a big fan of Acronis software, particularly True Image. Winning a copy of True Image 2013 would be a great thrill. Thanks for the giveaway and please count me in for the contest. I like Acronis true image 2013. Nice I hope I win this thanks for the great software giveaway. A good site. Acronis True Image is a great program! Thank you! Great contest! Acronis is the best backup software with a friendly interface, quick and easy to use. Please count me in. Programa super! hunting to get a very small key. Спасибо за акцию, программа очень хорошая, всем удачи. Acronis True Image 2013 is the best in its class. I’d love to own it. Thank you! Thank you for the opportunity to win a cool product! Wow! Please count me in! Wonderful prize. Please count me in too. I am using Macrium Reflect free at the moment but I have read that Acronis True image is far better. Thanks for the chance to be entered in the draw. Best product ,thanks for the giveaway!!! Getting a lifetime license for True Image would be great, It is one of the best recovery tool I have used. Hello. I would love to partake in this giveaway. Thank you. Acronis is the best, so please count me in. Acronis is very good though it can have issues at times. Count me in for this great contest. Please count me in for this great giveaway. Thank you. Fantastic giveaway count me in. Очень замечатнльная программа,поэтому хочется иметь личный ключ. Great giveaway, please count me in.Thanks. True Image 2013 is the best gift for me! Thanks for the contest, Acronis True Image is great disk imaging app, so please count me in. Hope to win. 1+: Please count me in. Great software. Please include me in the drawing. Please count me in for this giveaway. Thank you. Thanks for functional backup spft.Please count me in. I hope you count me in. but is this a giveaway or not? whats the deal with (1) prise? –not a giveaway ??? THIS is not a “giveaway” ,its a sweepstake/contest BS!!!!!!!!!!!!!!!!!!!!!!!!!!!!!!!!!!! Acronis is the best backup utility out there…..thanks for the great giveaway…. Hey thanks for the giveaway. My home was just struck by lightning and sparks shot out the back of the computer. It works but for how long I am not sure. I hope I win this because I really need to image my computer in case it dies! the easiest way to transfer files cloned from a hard drive to a new one I used an old version. Very good. Best backup and restore software there is. Thanks, nice giveaway. Thanks for the giveaway. I used an earlier version of True Image and it was the only backup software I found whose image restored perfectly. Unfortunately, I upgraded my PC and the True Image restore utility was not compatible with the disk architecture. It would be great to win this giveaway and use True Image again. Thanks for the giveaway. I like it! I really need one plz give away the app. I am ready to receive the Giveaway! Count me in. Отличная программа,давно ей пользуюсь.Буду рад если выйграю лицензию. Thanks, I’ve relied on disk imaging.. not tried Acronis for years..
Acronis is the best!! !Пользуюсь им ВСЕГДА! Great program. Thanks for the chance to win a copy. merci pour le cadeau, c’est un super log que j’aimerai utiliser. Best software for this jop,thanks. Thanks for the giveaway, Acronis is the best. Great, thank you, count me in. Wow, thank you so much, I so want to win this! I like Acronis True Image ! Acronis True Image 2013 – № 1 of backup programs. Reliable, high-quality, comfortable. For a chance – thank you! Thanks AppFound for this nice giveaway, True Image is a system backup software very fast and reliable.lease count me in. Please count me in. Thanks for the giveaway. Using the 2011 version of ATI still, would love to get a free upgrade. Acronis is the best, so please count me in. Wonderful software, count me in. This is great software, count me in. nice offer — great product ! hello thanks for the offer. Please count me in. Bardzo dobry program do tworzenia i przywracania systemu . Please consider me for this giveaway. Need this to upgrade from an old version (2009). Congratulations Appfound for hosting this giveaway. Consider me please. The lifetime license it really very good as it has upgrading and support. Count me for this contest please. Nice work Appfound! Acronis plus a lifetime license!!!!! WHOOOOOOAAAA consider me for this contest PLEASE!!!! I’ve used it before, granted the 2012 version, but it was a blast, it was so easy to use. True Image 2013 is a great software. Wonderful software, count me in please. Thank you for this chance! Great giveaway! I own the 2012 version so it will be great to upgrade for free! Good program. Count me in pleaseeee. Good program.Please count me in . I need this give-away in a big way. – The system restore function on my windows 7 can not be trusted to work. True Image 2013 by Acronis is reported to be the best software available to restore anyone’s computer system if there is a failure for any reason. For this reason, I hope to win. Wish to win this One..
Great giveaway! Thank you and count me in, please! A program which I cannot afford but would like to have. Thank you. I would be most grateful if you would select me as the winner please! Acronis is the best, please count me in.thanx a lot……..
Best imaging software on the market, i’m in. Thank you. Really good program, please count me in. Wonderful giveaway, I hope to win, Acronis is the best backup software. Thank you very much for the giveaway!! Please count me in. I need it sooo much! super giveaway! Please count me in! Thank you very much for this fantastic contest! This is a great software. Good program. Good giveaway. Count me in please. I hope I can win this one! Thanks for the great giveaway, Acronis is the best backup and recover data program. Please count me in. True Image 2013 by Acronis is very good soft. I am already subscriber, I am fan of Acronis , I should win this ……..
Really excellent program, please count me in. This is a great giveaway! Please count me in.Ty! Thanks for this giveaway, Acronis is simple the best, so please count me in. Wery good program. I hope to win. Thank you for this giving out. I wish myself luck. Great giveaway. Thank you!. Count me in please. Awesome software, well worth its salt, does what it says! Thanks for the giveaway, please count me in! I want it, count me in! This program is THE gold standard for backups! Please inculde me in the drawing. I got 2011 version and would like to update, count me in please. Thanks. Please consider me as you have your random vote. I would love to use this program again with Windows 8. Thanks! Thanks for the giveaway.I hope to win. Thanks!! The top of its class. Count me in please! Heard nice things about the program–I’d like to use it myself. In my opinion it is a good program. I often helped in data recovery. Greatly appreciate the system recovery using the F11 key. That’s a beautiful giveaway!!!! Thank you. Thank you for offer the best of backup software! Please count me. Yes, I would love to update my copy to run with Windows 8, but no money at present. Please include me when you draw a winner. Thank you!!! Thanks. I’m interested to this wanderful giveaway. Спасибо за эту возможность участвовать. “Acronis has long been a popular destination for backup solutions. True Image 2013 adds mobile device support for its cloud storage to attract more users. Those reviews are good enough for me, count me in. Thanks man. i wants this app. Thanks for the giveaway. Nice one. The best backup software. Thanks for this fantastic giveaway. I would love to win this great software! Hope to win this software. Great software. I hope to win. Nice giveaway, please count me in ! This one would be very useful. Count me , please, thanks. Best image program Acronis True Image. thank to random.org for this great giveaway. Acronis True Image is the best for me. Best software.Count me in please. I would like one of these. Thanks. Used acronis before and didn’t buy at that moment and tried otrer simular software…. Acronis is from far the better and user friendly software. Like to have it for life. Backups are important and this is a leading edge program for it……………….I would find it to be a valuable program. Finally, I would be worried about my data and I’d be afraid of losing them. Great giveaway! Count me in. Thanks. Great backup software. Count me in, please. Thanks. Thanks.. Please count me in. 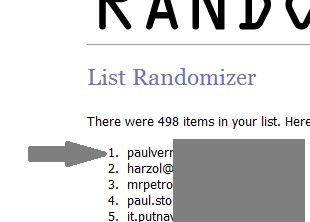 Nice giveaway – please count me in. Thanks for the offer and count me in. and me, me, me – pick me! Great software. Thanks for giveaway. Be the best with the BEST ! this is one of the best backup programs. used it in XPtimes. please count me in for the newest version. thanks. Merci pour cette offre. J’avais ACRONIS 2010, il est temps de passer à la version 2013 !!! Excellent programme très utile. thanks to MadGive for this great giveaway. Acronis True Image 2013 is the best for me.